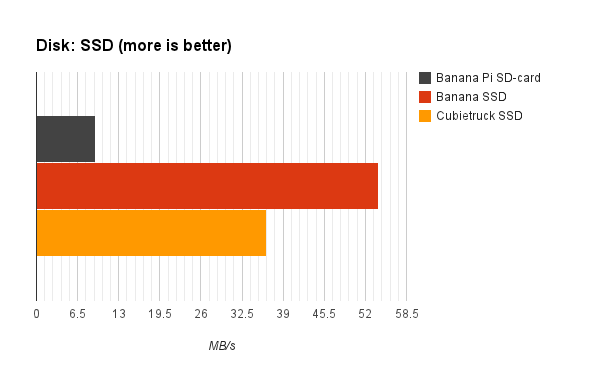 I reran the Banana Pi benchmark with an SSD hooked up. Because most of the benchmarks only use the CPU the result is almost the same. As soon as applications also rely on storage you will see a performance gain. In my test this is reflected in the Nginx benchmark. The disk benchmark (dbench) shows the performance difference in real numbers: if you use an SSD instead of an SD-card you gain about 44MB/s in disk performance.